Congress is finally taking steps to repeal a blank check for war. But Lee did not speak for Congress. Despite her repeated warnings, the AUMF became a blank check for military interventions and bombing raids that had little or nothing to do with the September 11 attacks. Lee pointed out the absurdity of the ever-expanding use of the AUMF. And she pleaded with her fellow House members and senators to repeal the 2001 AUMF. Republicans and Democrats refused. Until now. On Thursday, the House Appropriations Committee approved Lee’s amendment to repeal the 2001 AUMF 240 days after enactment of the Department of Defense Appropriations bill. With the vote, Lee celebrated a remarkable accomplishment—not just for herself but for the cause of restraint and reason when it comes to matters of war and people. 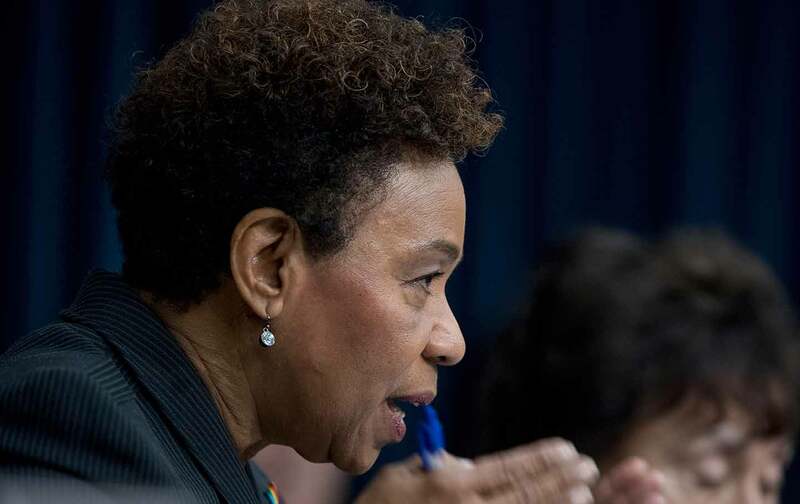 Congresswoman Barbara Lee wants Congress to respect its Constitutional duty and debate issues of war and peace. Peace groups hailed the development, and recognized the vital importance of Lee’s long and, until recently, lonely struggle to take up the specific issue of the endless AUMF and the broader issue of congressional oversight of the executive branch and military operations. The concern that the opportunity could be lost remains real. Appropriations bills are subject to intense lobbying and they go through dramatic changes. So antiwar activists must remain loud and vigilant in their support for the amendment.